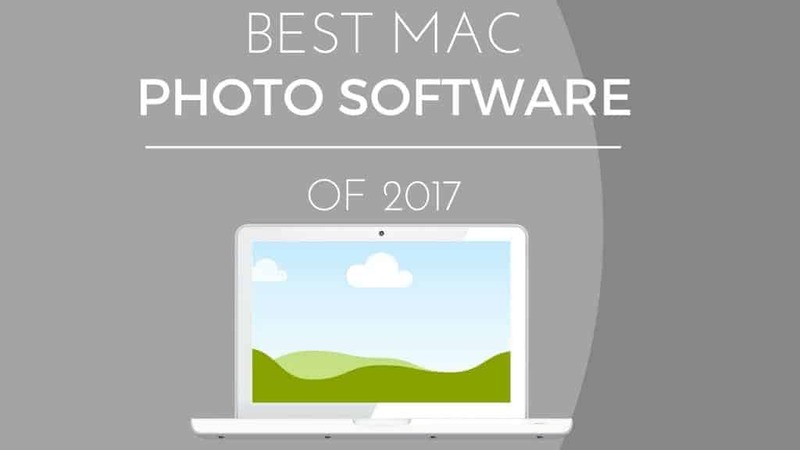 Attention: For readers only interested in the good stuff – we recommend Luminar Neptune as the best photo editing software of 2017 for Mac users. You can click below to download Luminar for yourself, or continue reading the article for our review. Enjoy! Have you ever thought that your pictures looked dissatisfying, faded, dark, and dull in comparison to those stunning pictures you encounter online or in magazines? That is because they are created by professionals who have skill, knowledge, and talent in photo editing software and are able to enhance the appearance of the pictures to better draw the viewers’ attention. Perhaps you have considered getting software yourself but the confusing interface may have intimidated you, or maybe you are unsure which programs would get the results you want and don’t even know where to start. What there was a software application out there that is so user-friendly that anyone could use it regardless of their skill level and still produce some amazing quality pictures that look like it was done by a real professional? Let me introduce you to Luminar Neptune, a new cutting edge of photo editing software created by Macphun that is just as fun to use as it is to edit the images themselves. This photo editor is a photographer’s new best friend as it is powered by Accent AI, the world’s very first artificial intelligence for photo editing. No matter what camera or device you choose to take your photos, it is completely designed to automatically make your pictures perfect every time. Preset filters are a great way to quickly modify an effect on any image but many programs make it painfully obvious that a photo has been edited. Accent AI gives you filters that will enhance what is already there, bring out the vibrant colors, radiance, make it clearer, add more saturation, and define those sharp details that we want in a picture so that it looks natural and amazing. With just a touch of the mouse, you can edit pictures quickly and easily, by adjusting the sliding bars to control each feature and tool while you watch it edit your image in real-time, allowing you to see the changes as you tweak the picture to how you want. This lets you get started right away even if you are an amateur user since it takes the guess work out of figuring out the UI so you can focus on what truly matters, being creative. While other Mac photo editing software force you to become familiar with their interface before you can even use it, Luminar allows you to customize the tools and features to what you need so you can better focus on your projects. You can remove or add whatever tools you see fit to clear space or choose to keep it to a few options for those simple quick photo touch-ups. If you require doing more extensive tasks or want to get into more details you still have access to many advanced options. There are more than 300 tools and features included within Luminar to pick from, whether you are new to editing pictures or a professional photographer, the software is designed to adapt to your skill level and style preferences, giving you more control of the user interface than any other software. 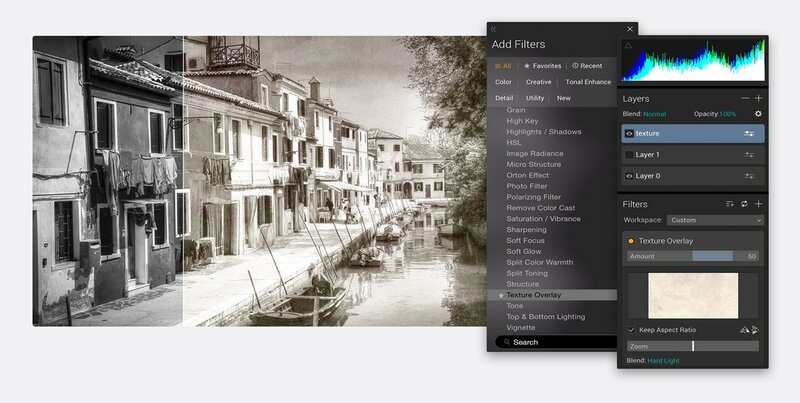 The workspace in the Luminar software shows you only the most vital filters for specific types of photos that you are creating. Of course, there are default workspaces that come with the software such as landscape, portrait, street, and black and white modes, but the most impressive feature is the ability to create your own. Making your custom workspace from scratch gives you the advantage of picking out all your favorite tools that you frequently use and having them all in one place, so it is available immediately rather than having to go through the defaults and hoping to find what you are looking for. As you add filters, it will give you a short description of what each effect will have on your photo. If that wasn’t enough, you can even import workplaces from other artists that also use Luminar, so you can explore the possibilities. Luminar offers powerful tools that allow you to remove any unwanted objects, color casts, digital noise, and any other undesirables from your picture to better help you reveal hidden details that are otherwise overlooked in your picture. Editing is made easier as you can simply edit the upper and lower parts of your photo without having to select any of the objects making for much smoother editing experience than any other leading software out there. There is even feature layers with blending modes, texture overlays, and masking, to help you better get the desired effect you want. Even though Luminar is easy to use for beginners it is also designed with advanced features for professional users as it combines the best pro-level image tools there is to offer all in one package, bringing you layers, luminosity masks, radial and gradient masking, histogram, blend modes, color mixtures, brushes for select editing, split toning, and many other features to fulfill your needs. It is alright if you are not familiar with all the tools and features that are included in the software as they will always be available to you so you can test them out, play around, or use them as your skills grow. Why Do We Say Luminar Is The Best Picture Editing Software For Macs In 2017? Creativity is endless, with Luminar having more than 300 powerful features and tools that are readily available to you anytime, there is nothing you can’t create within your own imagination with your photos. There has never been a greater time to be an artist or photographer. 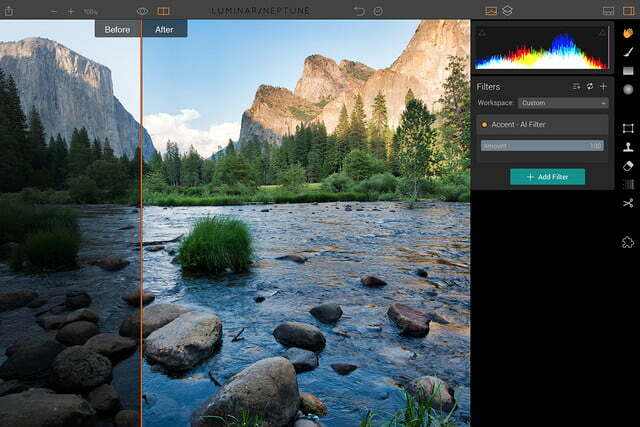 You can use Luminar as a plug-in for Apple Aperture, Adobe Lightroom, and Adobe Photoshop or as a standalone photo editor. It’s AI filter allows you to make your pictures brighter, more colorful, stunning, and professional with the ease of moving a slider, and compared to other programs with a steep learning curve, this adaptable interface saves you time and frustration that you would have to endure from learning how to navigate around other software. For those who have the Macbook Pro this software even supports the new touch bar that will give you more access to your tools and settings. If you enjoy the best editing software that 2017 has to offer then you will be happy to know that there are no monthly fees like some of the other software out there such as Adobe Photoshop. You can simply buy it for $69 and it’s yours for life. Click below to visit the Luminar site!